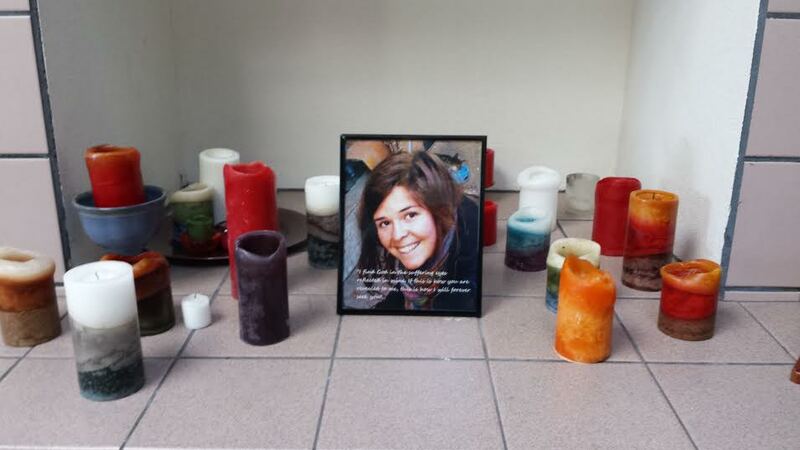 This week, Northern Arizona University entered national news when the White House confirmed that an NAU alumnus, Kayla Mueller, died in ISIS captivity. Some of my friends who work for the school newspaper have been contacted by national news organizations, and various news outlets and reporters have slipped onto campus to obtain as many facts about her as possible. A friend from The Lumberjack asked me to write an editorial for the paper. Another friend wrote a compelling and beautiful post expressing her own thoughts. Many of my friends have suggested I write something about these events. Additionally, I am connected with multiple organizations (which I will not name here) of which Kayla was a member, and reporters asked some of us to comment on her death. Some left business cards between our building’s doors. To my surprise, it seems I am expected to speak, to write, to openly reflect on Kayla’s passing. Maybe that is the responsibility of a writer, to offer thoughts in a timely, organized fashion. In truth, I’ve been meaning to write about ISIS. As a historian, I wanted to put the self-proclaimed Islamic State in a proper historical context: the destabilization of the region, its ideological origins with Mohamed ibn ‘Abd al-Wahhab, and Wahhabism’s connection to Saudi Arabia given the recent king’s death. But I don’t think that what I want to write will lend anything useful to the people asking me to write. Maybe I’m expected to separate myself from these events completely, become a mere onlooker capable of expressing myself outside the confines of the grief, confusion, anger, and sadness that all of us are feeling. Some of my friends have succeeded in putting their thoughts into words, and I applaud the courage it must have taken to do so. But one thing has become painfully clear to me: too many people have asked me to say something, but I don’t know what to say. I’m compelled to write about history and religion, or to write about the NAU community, or to write about Kayla’s life, but right now the words refuse to manifest. I want to express something, but I don’t know what I can express that is not simply grief, confusion, anger, and sadness. To be clear, I never knew Kayla. I only know the people she touched while she was here, a handful of her friends and mentors. Last night, however, while I was walking home, I was struck by something new on the side of the road. 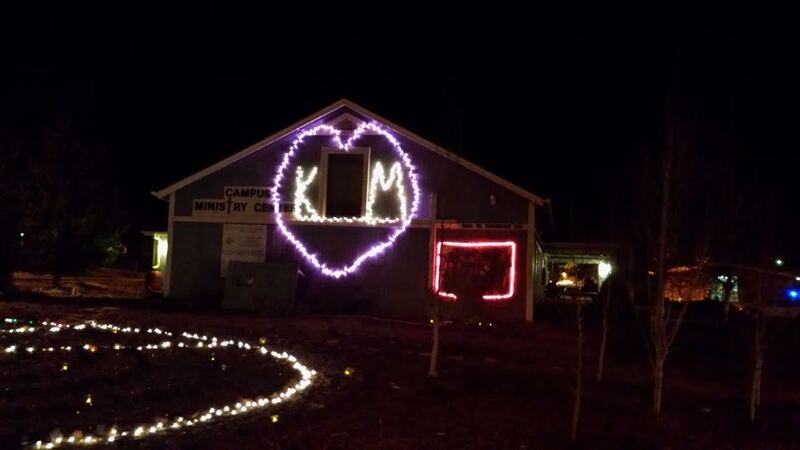 There had been a vigil for Kayla, and on that windy night, people of multiple communities came together and honored her in lights. Seeing this with so many tragedies already on my mind made me stop. I stood in front of it in silence. For a long time, not a single car passed, and I was alone in the soft glow of love and celebration and sorrow arranged for the world to see. I thought a lot about Kayla. I meditated on the impact of her death, but more on the impact of her life. Her absence brought out the best of my communities, but her presence was much stronger. Though I was alone, I could feel that Kayla had accomplished her goal as a humanitarian. Even in death, she brought people together to declare, plain and simple, that love wins. I do not believe I have any authority to write about Kayla’s life. I do not feel it’s my place. As a writer, my duty is to express myself in solidarity with the grieving, the confused, the angry, the saddened, down on the ground in chaos and not in some lofty tower above the emotional turmoil. Perhaps solidarity comes in many forms, and right now my place is only to let the lights shine on and stand in their warmth with everybody else as a member of my communities, of NAU, of Flagstaff, of the world. This entry was posted in History, Reflection, Writing and tagged Flagstaff, grieving, History, Islamic State, Kayla Mueller, love, love wins, mourning, NAU, Northern Arizona University, Wahhabism, Writing on February 11, 2015 by keeneshort.